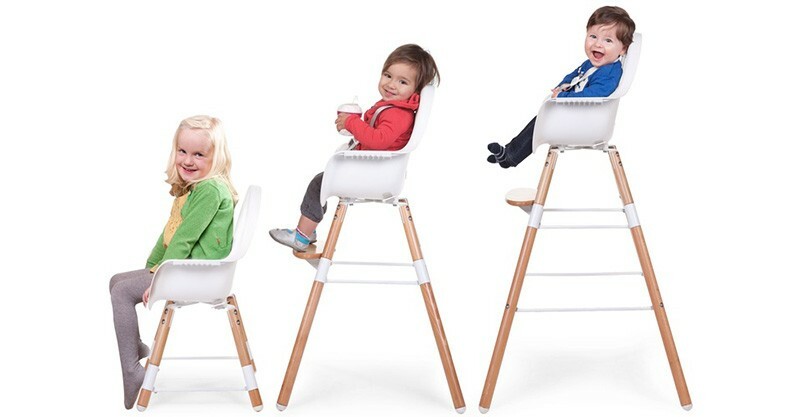 High chairs are no longer cumbersome monstrosities of plastic and padding, they’re becoming sleek children’s chairs you’ll be only too pleased to show off at your dining table. 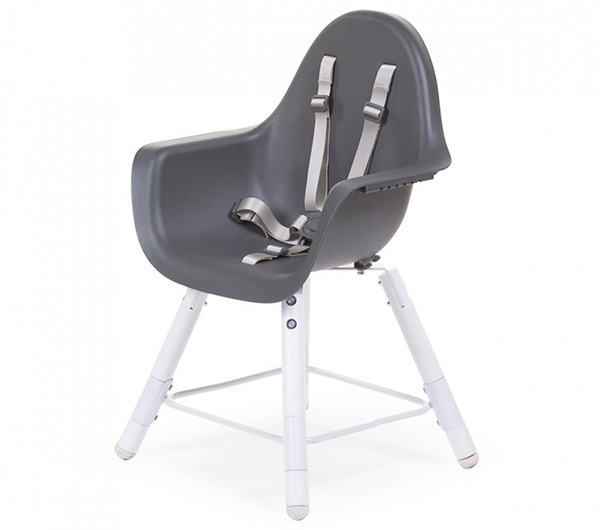 The Evolu 2 high chair is not only super stylish, it’s completely practical, transforming from a high chair to a regular children’s chair – suitable for kids aged six months to six years. It’s fine dining meets fine design! Imagine getting more than five years of use from your high chair, sounds crazy doesn’t it? Designed by Belgium’s Childhome, the Evolu 2 high chair morphs from a high chair with two table heights – 59cm and 77cm heights, to a regular chair for a small child to use. Adjusting the legs of the Evolu 2 is easily done and the shortest height is not only great as a regular seat, it’s an excellent height for bub to sit at a kid’s table with siblings! Suitable for children aged up to six years, the moulded plastic seat is a cinch to clean with no nooks or crannies acting as food traps and a five point harness and safety bumper is included. 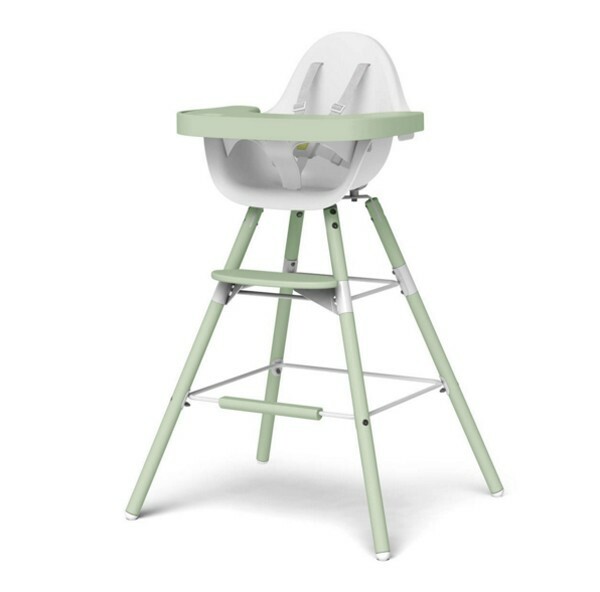 Available in several colour combinations, you can fit out the Evolu 2 highchair with optional extras of coloured padded chair cushion, a tray and even a set of extra long legs, lifting the seat to a 90cm height – excellent for sitting bub at a kitchen island bench while you’re busy in the kitchen. Good news, the Evolu 2 high chair is priced $229 and it (plus all of its optional extras) is available locally at Baby Bunting!